Prevention is better than cure. Did you know that you can tell if you are 13 times at risk of getting a heart disease by just looking at your Achilles tendon? The secret lies on the thickness of the Achilles tendon. The specific condition we are talking about is called "familial hypercholesterolemia". It is a genetic disorder characterized by high cholesterol levels in the blood (specifically LDL bad cholesterol levels). It is Important to Diagnose Familial Hypercholesterolemia Early! Given that familial hypercholesterolemia is a genetic disorder and is present from birth, it is vital that the disorder is diagnosed early so that you can take certain measures like managing your lifestyle and diet to prevent worsening of the condition. High cholesterol levels usually do not cause you to feel any symptoms. Luckily, you can tell if you have familial hypercholesterolemia by just looking at your Achilles tendon. Fatty cholesterol deposits may be seen in many parts of the body but there's one place where they are prominent—the Achilles tendon. Over the years, these accumulating fatty deposits can increase tendon size and thickness and may even alter the function of the tendons. The Achilles tendon's primary function is maintaining the balance of the body while running, walking, and jumping. Therefore, it is highly susceptible to injury when you have high cholesterol levels. 1. 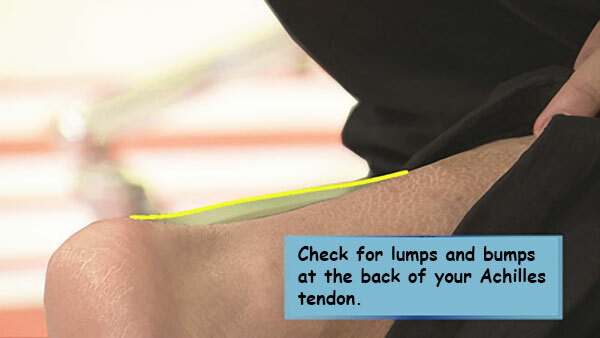 Lumps and bumps at the back of the Achilles tendon. 2. Achilles tendon is more than 2 cm thick. Your LDL cholesterol level is 180 (mg/dl) or more. If you have a close relative who had a history of coronary artery disease leading to angina pectoris and heart attacks at a young age (before 55 years old for man, and before 65 years old for women). If the above conditions apply to you, it is recommended that you consult with a cardiovascular specialist to determine the possibility of familial hypercholesterolemia. TRIVIA – Did You Know? 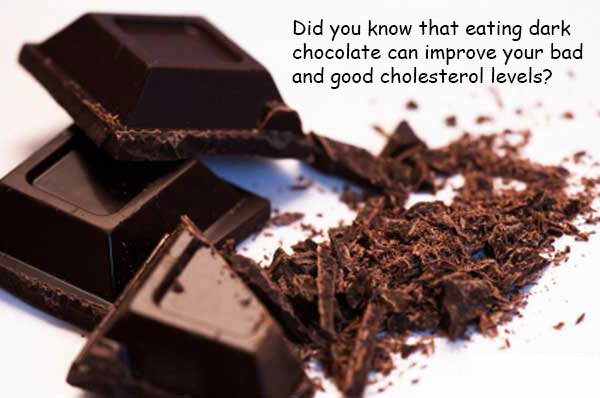 Did you know that eating dark chocolate (NOT white chocolate) can lower your LDL cholesterol (bad cholesterol) and increase your HDL cholesterol (good cholesterol) by as much as 20%? Studies show that high amount of cocoa solids in dark chocolates is responsible for this health effect. Cocoa solids are known to contain antioxidants and healthy compounds that can help improve LDL/HDL cholesterol levels and lower blood sugar levels, too! 1. "Do Chicken Eggs Contain Good Cholesterol or Bad Cholesterol?"